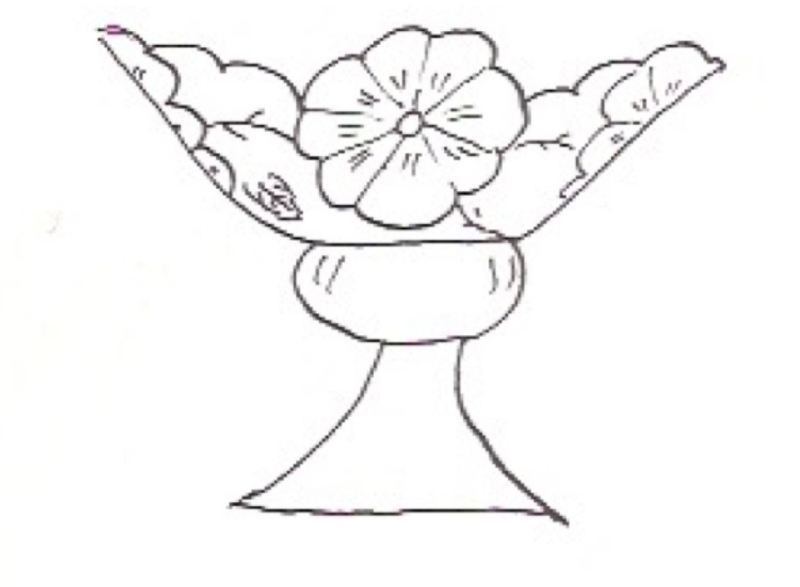 Carwile shows the Miniature Intaglio piece with the name of “Wild Rose Wreath.” He also states that the Butler Bros. catalog calls it a “stemmed almond.” He further states that it is known in marigold, blue opalescent, one each in white, and aqua. He shows a picture of it in blue opal. 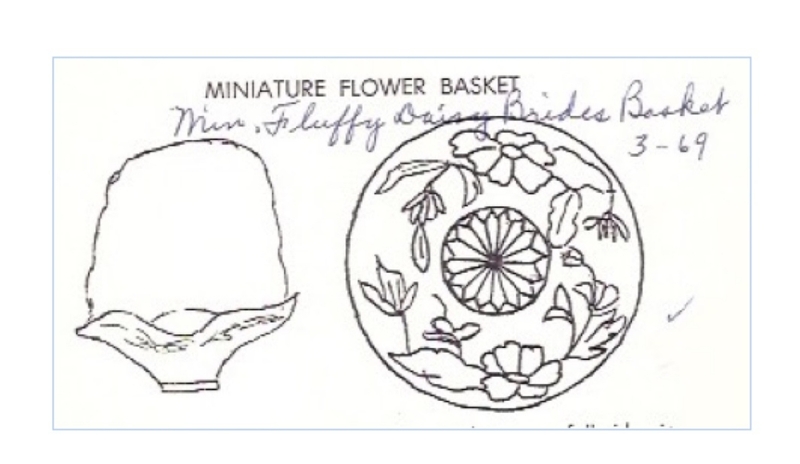 He also shows a picture of the Miniature Flower Basket but does not add any additional information that has not already been listed. I don’t know how these two patterns have gotten lumped as one, but they are two distinct patterns, and, to me, should maintain their own identity. 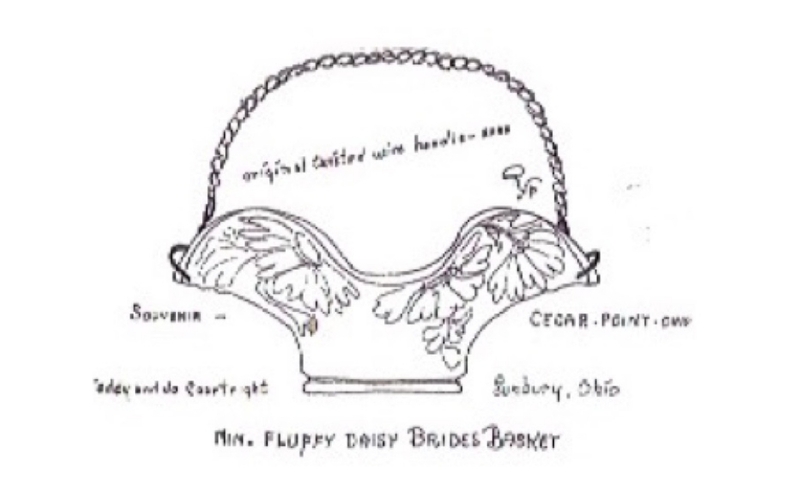 Each has been thought to be manufactured by the Westmoreland Glass Company. 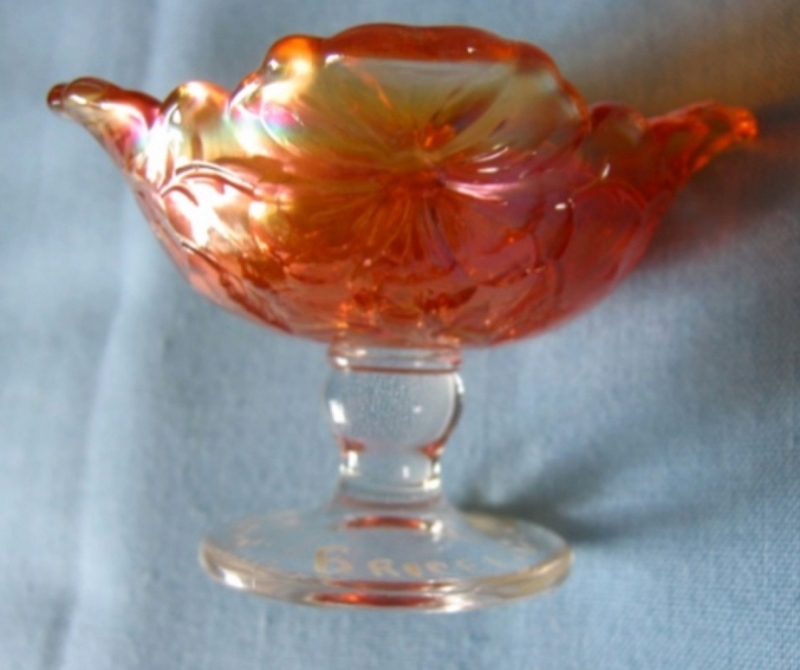 This seems to be a lot of description for two miniature pieces of carnival glass. It was felt necessary in order to establish the identity of each piece. I don’t know if anyone will appreciate this information, but it might be important to those people who are lucky enough to own one or more of them.